Prominent & Leading Manufacturer from Ghaziabad, we offer 66 kv lightning arrester, 33kv lightning arrester and 132kv lightning arrester. 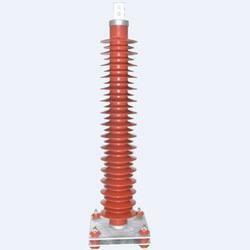 By keeping track of the latest market developments, we are involved in offering 66 KV Lightning Arrester. Our offered arrester provides protection all the electronic equipment from short circuiting. This arrester is especially designed for industrial and domestic applications. Under the stern vigilance of dexterous engineers, the provided arrester is manufactured using quality approved components and pioneered techniques according to the industry laid norms. To fulfill the specific requirements of our renowned clients, we offer this arrester in several technical specifications. In order to satisfy the diverse preferences of customers, we are engaged in offering a superior quality 33KV Lightning Arrester. 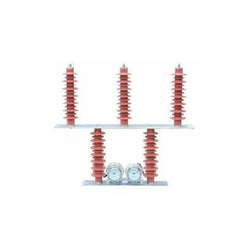 The provided arrester is used for protection of incoming and outgoing line and also of the power transformers from lightning surge and from power frequency over voltage. This arrester is manufactured using high quality components and cutting-edge technology by our skilled professionals. Apart from this, the provided arrester is made available in different technical specifications at a pocket friendly price in the market. Being one of the trusted firms in the industry, we are highly engaged in providing a unique range of 132KV Lightning Arrester. 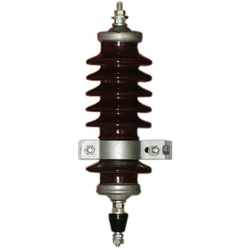 The offered arrester is used in electrical power system to protect others equipments. The provided arrester is manufactured under the guidance of skilful engineers who hold years of experience in the domain making use of superior grade components and modern methodology. Apart from this, the offered arrester is carefully checked on every stage of assembling in compliance with defined industry standards.